Do you have a room like this in your house? Want to try an exercise in self-discipline? Try dejunking and cleaning out a six-bedroom four-bath house after 31 years, and after 47 years of accumulation. 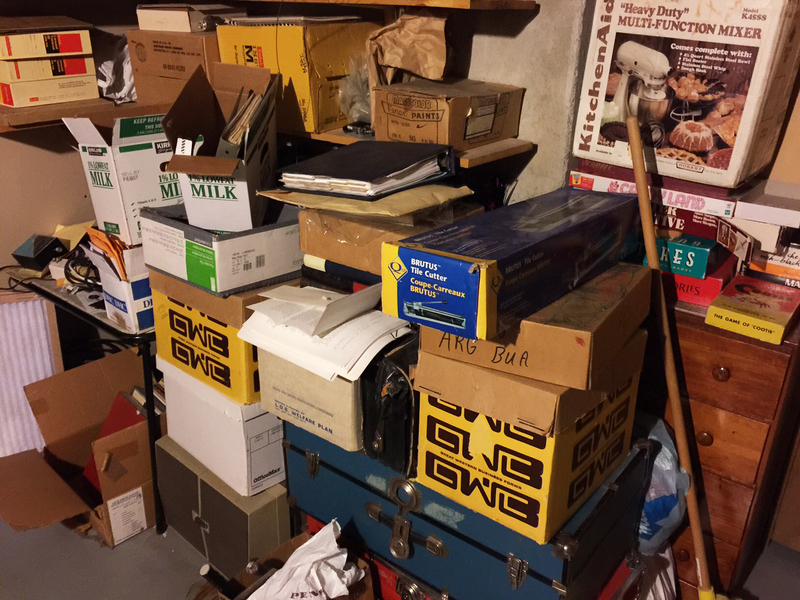 I’m a packrat—the kind who has trouble throwing away something that by any stretch of the imagination might be useful again someday. Anyone out there want a Kodak carousel slide projector or a Super 8 home movie projector still in good working order? How about the collector’s edition of Star Wars episodes IV, V, and VI on VHS tapes? Or cassette tapes of Andy Williams Christmas music? How can I give away books? I was always taught that books are treasures. 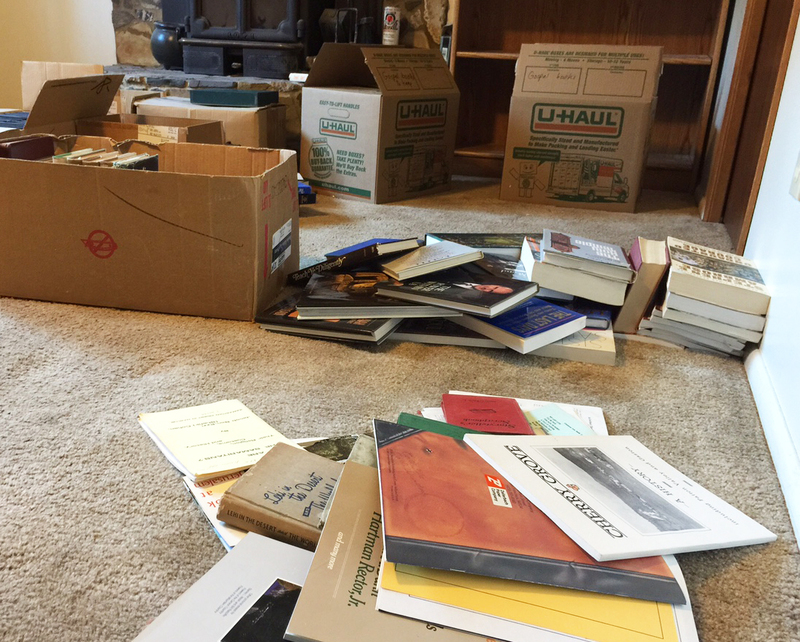 We’re downsizing, and we can’t keep everything. That includes some of the byproducts of more than 40 years in a satisfying career—notes and clippings, reprints of articles, duplicate copies of magazines, etc. It is hard, sometimes painful; it is like throwing away pieces of my life. But a lot of this stuff just has to go. There is the problem: “stuff”—things we think we still need for some reason. Some of it seems too dear to part with, and yet we lived perfectly well without any of it while were away for 18 months serving as missionaries in Central America. Why, then, is it so hard to let go of it now? Perhaps our minds and hearts—the spirits within our bodies—are like this at times. In Mere Christianity, the great Christian philosopher C. S, Lewis wrote of how God can change us if we are willing. We might believe that if we could change a few things, maybe strengthen our faith a little more, we could become presentable little cottages. But God is interested in making something much more of us—a magnificent palace—if we will let Him. This will require more than minor repairs. It will require major changes, and it will require getting rid of some things we may hold too dear. I suspect if we would examine ourselves carefully, most of us would be ashamed of the reasons we are holding onto some things—some of those old habits, some ties to past sins, some secret ungodlike longings tucked away in boxes of memories in the dark corners of our hearts. It’s time to let go of them. It’s time to move on. It’s time to clean out the old place and let God make of us what only He can. So the critical question for each of us becomes: What do I need to throw away? And if I knew I would have the opportunity to show it to God who is the Father of us all, what would I keep? This entry was posted in Culture, Faith and tagged bad habits, C.S. Lewis, clutter, decluttering life, dejunking, downsizing, getting rid of junk, God's hand, repent, repentance, sins on September 13, 2015 by Don L. Searle.